These Drums are known for failing under Towing or High load applications. Some of these failure points include the light duty aluminum clutch hub and soft steel input shaft. 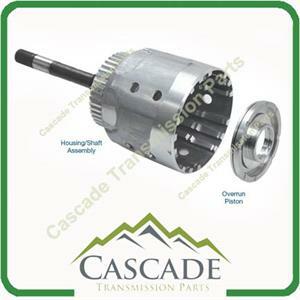 Over time the clutch teeth that ride in the grooves of the input drum beat out and damage the soft hub. Sonnax has Engineered a fix for all these issues into there custom input drum. This drums input shaft is hardened for durrability as well as having Chamfered feed holes to reduce stress. This drum comes with a reinforcement sleeve already installed to reinforce the drums clutch hub. This Input Shaft Is 57% Harder Than The Original OE Shaft. Can only be used in 97-05 Models Due to the Custom Billet Overrun Piston.